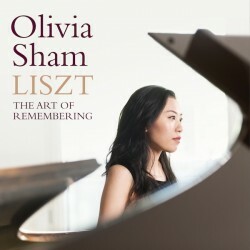 Released on 6 November 2015: http://www.avie-records.com/releases/liszt-the-art-of-remembering. Click here for an excerpt from the liner notes for the CD which provides information on which instruments are used and the narrative programme that links all the pieces. Click here for reviews of the CD. As any Liszt devotee will know, Liszt’s oeuvre is comprised of an enormous range of music, and the solo piano music reveals a diversity of aims. It can therefore be difficult to isolate the identity of the composer in this spate of ideas, some of which can seem contradictory. In publishing such a large quantity of music, much of which was quite ambitious in scope, it is perhaps inevitable that Liszt did not consider it a priority to publish only that which he considered utterly perfect and complete, and indeed, he later re-composed many of his works, including significant cycles like the Années de pèlerinages and the Transcendental and Paganini Etudes. It can be argued that this was because Liszt’s musical identity had its foundations in his early career as a nineteenth-century virtuoso performer. The performance practices of such virtuosi in the period were based on improvisation and fantasy, so that Liszt was accustomed to modifying music in his performances – and in his compositions. Liszt did this when performing music by other composers, either as they were written (although often with great alterations), or by composing free transcriptions. This new recording looks at how remembering becomes an ‘art’; it is a creative process for Liszt, but also used here to present a new artwork that shifts the focus from the individual piece to the potential poetic links between different parts of his output and periods of his life, and which only makes sense if an awareness is developed. The programme is structured loosely around two sets of re-compositions. The first is the metamorphosis of an early juvenile study in A flat major (1826) into one of Liszt’s mature Transcendental Etudes, ‘Ricordanza’ (1851), the very title of which is ‘remembering’. Here, a charming tune is re-iterated in a more distant fashion, interspersed with passages of lush fantasy. The second offers perhaps the reverse process, by paring back the Liebesträum no.2 (1843-50) into the first of Liszt’s Fünf kleine Klavierstücke (1865) that dates from the beginning of his late period. The later version is sparse, austere and resigned – the earlier passion restrained, or lost. Alongside these, the programme is centred on particular generic ideas that recur in Liszt’s music, namely, that of the waltz and the march, and the notion of dreams. The fairly straightforward waltzes of earlier years are ‘forgotten’ in his set of Valses oubliées and in the Bagatelle ohne Tonart. Meanwhile, the march features in a virtuosic transcription of Berlioz’s macabre ‘March to the Scaffold’, in the defiant triumph of the Eroica etude, and the implacably grim horror of the Trauervorspiel und Trauermarsch. Many of the pieces on this recording are miniatures and fragments – pieces that might seem unresolved or insignificant, or difficult to make full sense of in a usual recital setting. Thus, the CD has been designed as a loose narrative that uses remembering as a way of tracing a coherent thread through the different fragments: the listener is invited to ‘remember’, to put themselves in the composer’s shoes. This suggests that the somewhat fragmentary aspect to Liszt’s music, most salient in more introverted pieces, in fact reflected a way of thinking – wherein the mind drifted from one thought to another to weave connections, from one memory to another, and from past to present. The pieces in the programme tie intricately to one another, for I used Liszt’s musical language to find connecting points, be it short musical motifs or an affinity for certain chords or keys, to make for a ‘complete’ musical experience. It is important not to forget that there are other factors aside from the poetic to Liszt’s changing musical language. One very important reason, which I have been researching by playing on various historical pianos like those Liszt would have played on during his long life, is the change in his instrument: the piano of the nineteenth-century was continually evolving. Most historical studies focus on developments that took place at the beginning of the century, e.g., Érard’s innovative double escapement action. However, the ramifications of this unfolded more gradually over many years, forever pushing the limits of volume and power in a way that transformed the character of the instrument entirely and forced a constant revolution of the pianist’s technique. Although shortly before his death, Liszt was endorsing Steinways not so removed from the modern piano today, as a boy he had played on what were essentially light Viennese fortepianos. As a virtuoso performer par excellence, Liszt was finely attuned to what the instrument he had at his disposal was capable of, and aware of all subtle technological modifications. He wrote for the best effect on his instrument at the time, so that although he pushed the piano’s developments with his inventive virtuosity, he was also aware of the boundaries, in order to give the most impressive performance (live, or in composition). It is because of this that I recorded the programme on three different pianos – an 1840 Érard at the Royal Academy of Music Museum for the earlier period, an 1845 Érard at the Cobbe Collection in Hatchlands Park for the middle period, and on a modern concert Steinway for the late pieces. In selecting instruments appropriate (or not, as the case may be) for the repertoire, the sense of remembering – the sense of distance between the different periods of his life – is emphasised in the listening experience. This is something that is also only feasible as a ‘performance’ in the recording format – a format that, appropriately, allows the ephemeral ‘liveness’ of a performance to be remembered. Jim Samson, Virtuosity and the Musical Work: The Transcendental Studies of Liszt (Cambridge: Cambridge University Press, 2003) 115.